Bryce Moore » My Newest Six Year Old: Happy Birthday, DC! 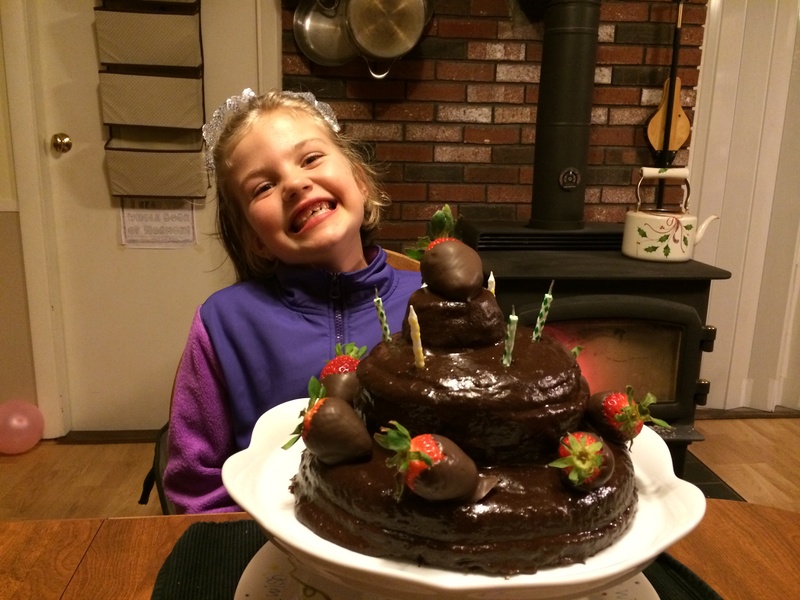 Home > Blog > family > My Newest Six Year Old: Happy Birthday, DC! My Newest Six Year Old: Happy Birthday, DC! Someone asked me the other day how old my daughter was. I waffled between answering 4 and 5–I knew she had a birthday coming up, and so I wanted to say she was four going on five, but was there a chance she was three going on four? I couldn’t remember. She turned six yesterday. Six. How in the world has that happened? I finally broke down and took a trip to Marden’s to see if inspiration struck. I emerged with some craft books, paint by number sets, and a lap desk. I wrapped them for her yesterday, feeling pretty sheepish about the whole thing. They just didn’t scream “GREAT BIRTHDAY PRESENTS” to me, but I knew she’d like them. With TRC, I have a much easier time shopping. I know what he’d like. And so I worried that DC would look at her haul and be disappointed. Either which way, we had a great time last night, and she’s having friends over today for a small play date. The girl’s a joy to have in the family–conscientious and caring, free spirited and fun. Happy birthday, DC–please stop getting older so quickly!